In October2001, a musical made its Broadway debut at the legendary Winter Garden Theatre. It boogied onto U.S. shores in 2000 after conquering London and Toronto, first playing at San Francisco’s Orpheum Theatre, then moving on to Los Angeles’ Shubert Theatre and lastly playing Chicago’s Cadillac Palace before bursting onto The Great White Way and globe-trotting to theatres all over the world. The musical is based on a Swedish pop/dance group’s songbook, and if you have not guessed which musical I am referring to by now, I am talking about no other than Mamma Mia!, the international smash homage to ABBA. 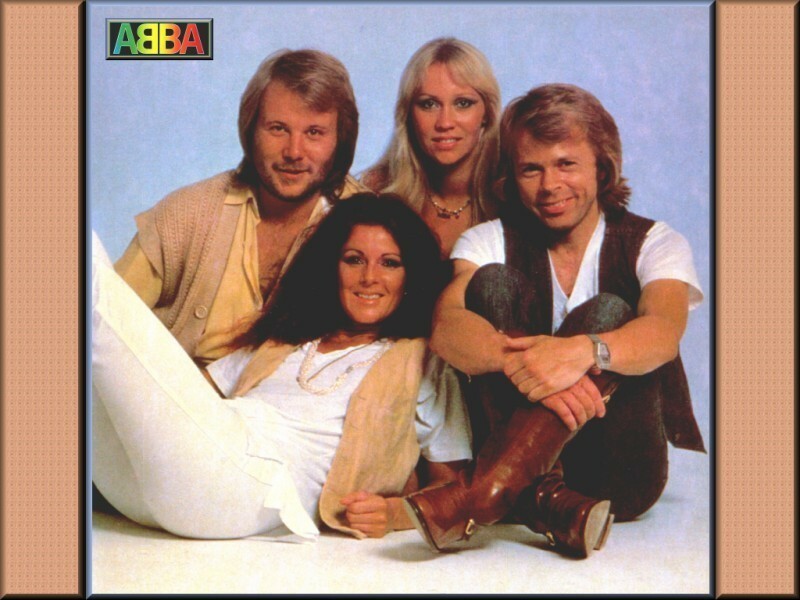 ABBA, comprised of Bjorn Ulvaeus, Anni-Frid Lyngstad, Benny Andersson and Agnetha Faltskog, is one of the most successful groups in pop music history. They were consistent chart toppers before disbanding in 1982. The fourth best-selling music artists in the history of recorded music, ABBA sold over 370 million records worldwide and still sell approximately two to three million records per year. Mamma Mia! was first conceived by producer Judy Craymer after meeting Bjorn Ulvaeus and Benny Andersson in 1982. She believed ABBA’s “The Winner Takes It All” showcased the theatrical ability of their music. In 1997, Craymer enlisted Catherine Johnson to write the book and in 1998, Phyllida Lloyd signed on to be the show’s director. Mamma Mia! first premiered in the West End at the Prince Edward Theatre on April 6, 1999. In June 2004, it moved to the Prince of Wales Theatre, where it currently plays. Since its London debut, Mamma Mia! has marched through the international theatre community like General Sherman on methamphetamines. It even spawned a 2008 movie starring Meryl Streep, Pierce Brosnan, Colin Firth, Amanda Seyfried, Dominic Cooper and Christine Baranski. The musical takes place on the Greek Island of Calicos. It is the day before 20-year-old Sophie’s wedding to Sky, her fiancé. Her mother Donna is the proprietor of a taverna. Before guests start arriving for the big day, Sophie confesses to her two best friends and bridesmaids that she has written letters to Sam, Bill, and Harry, the three men whom she believes could have fathered her. She has a longing to know where she comes from, and desires her father to walk her down the aisle. The only problem is she sent the letters under the guise of her mother and Donna has no idea that the three men will be coming to the wedding. Tanya and Rosie, Donna’s ex-bandmates, are also there to help relieve the shock after Donna’s romantic past leaps off the pages of her journal and back into her life. The wackiness that ensues after Sophie’s potential sperm donors arrive takes everyone through the changes of love and back and ends with a new beginning for Sophie and Donna, but not the one that either of them anticipated. And of course the music of ABBA takes the audience through the journey, telling the narrative better than the characters themselves. 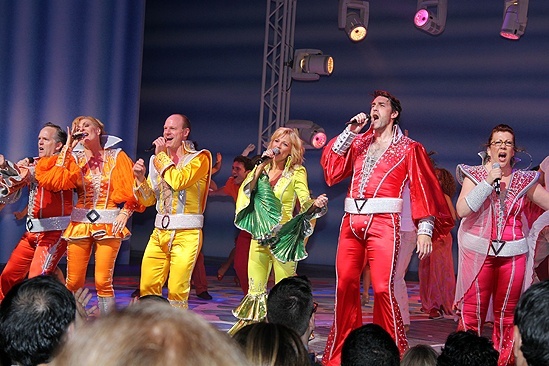 At the end of the show, the audience is treated with a super-sized ABBA encore with Donna, Tanya, Rosie, Sam, Bill and Harry performing “Dancing Queen”, “Mamma Mia, and “Waterloo” in ABBA-styled costumes. A decade is long time for any production to stay on Broadway, especially considering the time in which the musical premiered. It had only been a month since 9/11 and the theatre community suffered tremendous losses due to the lack of tourists. Somehow, Mamma Mia! survived, perhaps it’s due to the music, which harkens back to an era where people felt free and orange alerts were non-existent. This musical has created a world-wide phenomenon that is rarely seen today; it is safe to say that this light-hearted nod to love and the music of ABBA could be the musical of the first decade of the new millennium – and it is not done yet. 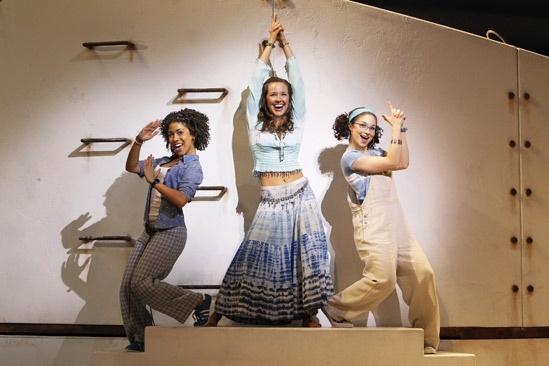 With 10 years on Broadway and no end in sight, Mamma Mia! is giving an early Christmas gift to ABBA fans with its first Winter Sale. All orchestra seats have been discounted, ranging from $49 to $79, for performances from January 9 through March 4. The ordering deadline is Christmas Eve so there is still time to take advantage of this opportunity. In addition to the Winter Sale, Two Boots is offering it variation of dinner and a show with its brand new Mamma Mia! pizza. Founded in the East Village by two indie filmmakers in 1987, Two Boots is a staple in New York City. 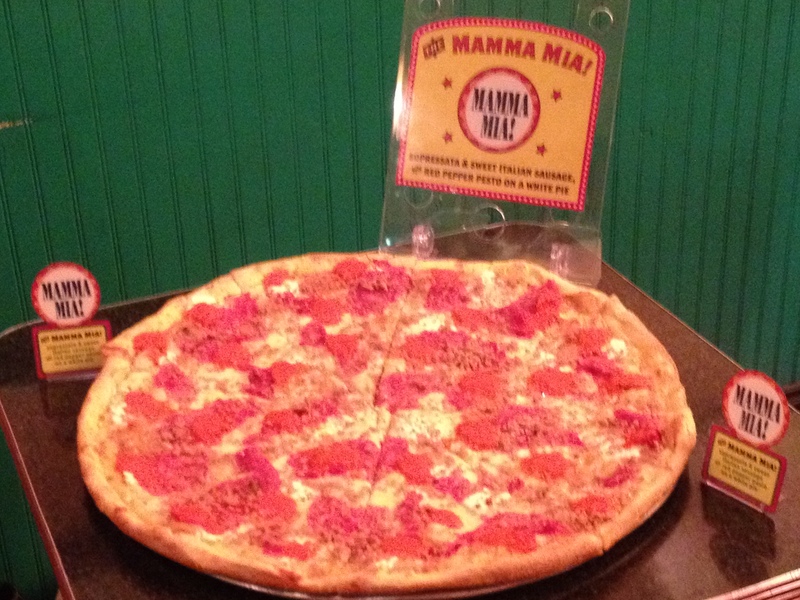 Their Hell’s Kitchen location, 624 9th Avenue, is known for their pizzas named after entertainers, within walking distance of the theatre, Two Boots serves to be a great finishing touch to an ABBA-filled evening. Mamma Mia! is touted as being the ultimate feel-good show and over 50 million people around the world seem to agree. I must admit it would be hard for anyone to walk into the Winter Garden Theatre with an attitude and not do a 180 upon walking out at the end of the show. You can not help it, one of those ABBA songs is gonna get ya’ and if the music does not do it, then the energy will. The audience is so lively, they will take you on their sequenced, bell bottom jumpsuit journey with them whether you like it or not. Even a disco novice will be clapping by the encore. The hawk approaches swiftly from around the corner; winter is almost here. FAMERS, liven up your winter doldrums with a hot slice of pizza and a cool show.